SVR Cast Iron Hydraulic Socket Weld Globe Valve, Size: 1/4" To 12"
A globe valve, different from ball valve, is a type of valveused for regulating flow in a pipeline, consisting of a movable disk-type element and a stationary ring seat in a generally spherical body. - Casting: C.I., D.I., C.S. & S.S. electric motor and actuator for valves are also available. Riding on unfathomable volumes of industrial expertise, we are providing a broad array of CI Globe Valve. 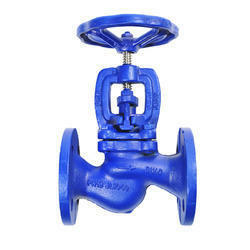 We are the leading manufacturer and supplier of Flanged Globe Valve. We offer a wide range of CI Globe Valve which includes molded CI Globe Valve. Our range of CI Globe Valve is also available at very reasonable prices. Cast Iron Globe Valve Flangeed. Globe Valves are extensively used through-out the hydrocarbon, energy and process the power industries. 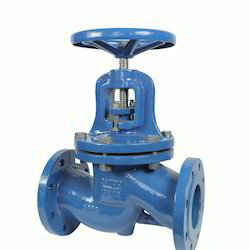 Our range of Globe Valves body is comparatively bigger in size and is used to handle more pressure. We have been appreciated by our clients for its features such as dimensional accuracy, precise functioning and durable.